Google recently released Android L, the next android developer preview in Google I/O. The New android features a complete design overhul. The Apps Gmail, Chrome, play everything got a new design called material design. XDA member ivan123 extracted the apps from his full system dump. 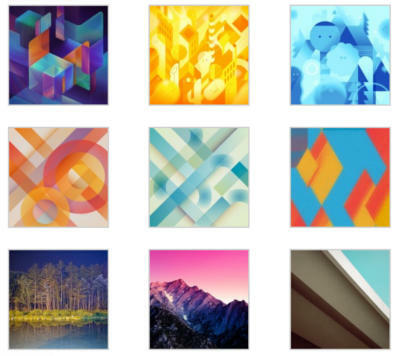 Android L apps, Android L wallpapers, Boot Animation etc are now available from download as seperate APKs. Some of these apps and APKs are instlled by rooting the system. Some APKs can be installed without touching the system. Here is a full list of available apps and UIs. The wallpapers are avaibale for download now. 61 APKs of various system apps, including Chrome, Calculator, Calendar, Drive and more. Note that many of these .APK files aren’t meant to be user-facing, and some of them may be no different than what is already installed on your device. Proceed with caution. Warning: after installation and editing build.prop Gmail might start Force Closing! Also a new boot animation is introduced in Andorid L. APK is available for that also. There is a complete system dump of android L is posted on XDA developers forum. This dump cannot be installed on any device it is just made available for study the upcoming changes in Android L.
As always, you take full responsibility for anything that may happen to your device as of the result of any non-OEM approved modifications. It’s important that you proceed with caution knowing that you are taking a risk and that you are taking that risk alone. As long as you understand that, though, then you’re free to go wild.